With the Environmental Studies undergraduate major, students learn how to move towards a more sustainable future for human and ecological systems. Courses in environmental studies provide training not only in the physical and social sciences, but also in writing, critical thinking, quantitative analysis, project and team management, and more. 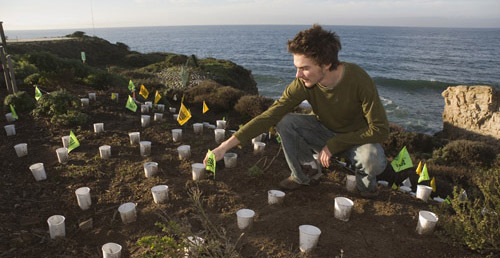 Environmental Studies alumni are making a difference in conservation organizations, habitat restoration, sustainable agriculture, environmental mediation, biodiversity research, and many other areas. The department has an internship program to provide students with meaningful experiences to complement their studies. Most students complete the prerequisites during their first two years, then begin the nine upper division courses in winter of their junior year. Some students complete all prerequisites in their first year; they have the option of beginning the upper division courses in winter of their sophomore year. Please read the program requirements and the advising and FAQ pages to get started!